Three ingredients. 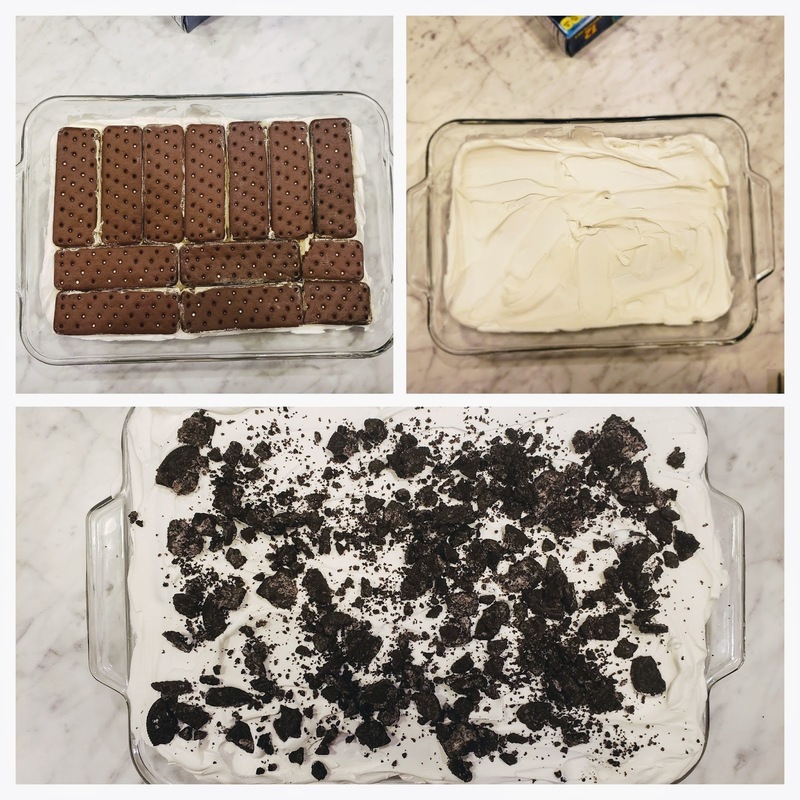 Ice cream sandwiches, cool whip, and whatever cookie and/or candy you want. The sky is the limit, but I usually do Oreo because I'm a sucker for cookies n cream. 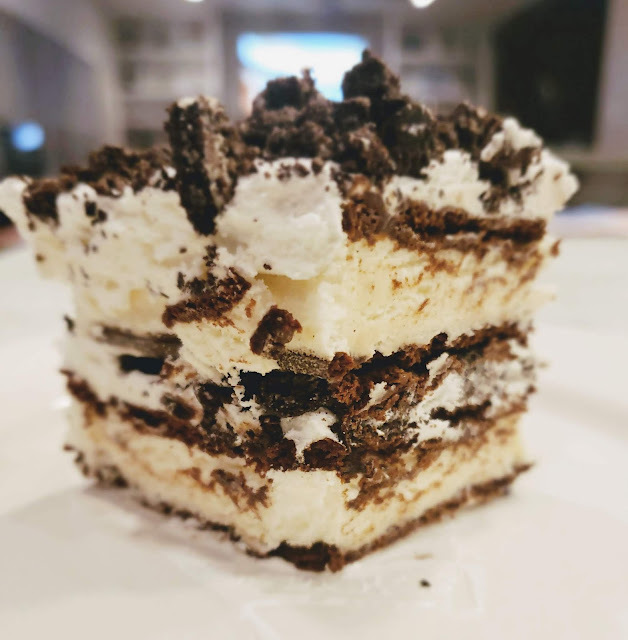 Really, I'd do mint Oreo if I knew others would obsesses over it as much as the kids and I, but I know mint chocolate is polarizing so I avoid for large gatherings. The hardest part of this cake? Opening the ice cream sandwiches. Seriously. It's that easy! Any crushed candy, cookies, etc. you want. Spread a thin layer of cool whip on the bottom of your dish. Layer ice cream sandwiches evenly on top of the cool whip, breaking to fit in the dish if necessary. Top with remaining cool whip (or amount desired) and garnish with crushed cookies and/or candy as desired. A drizzle of chocolate or caramel sauce is yummy too! Remove about 15 minutes before wanting to serve if it's been frozen for awhile. Note: to double, which I always do for large parties, do: cool whip, sandwiches, cool whip, (garnish if desired), sandwiches, final layer of cool whip and top with cookies and/or candy. Source: We got it from a family member, but I found several sources online, so I can't attribute to any one source in particular.